Licensed Through – Eagle Rock Entertainment Ltd. Manufactured By – Novodisc Mídia Digital Da Amazônia Ltda. Licensed To – ST2 Music Ltda. "Filmed in 1982, this Rockpalast special catches UB40 with their unique reggae and rock combination. Led by singer/guitarist Ali Campbell, UB40 would still be seven years away from taking off in America. 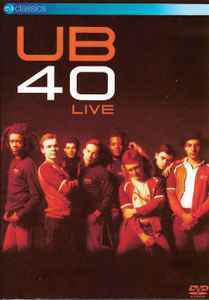 'UB40 Live' captures this young band performing some of their early politically-charged songs, 'Tyler' and 'One in Ten' among them, as their popularity in Europe begins to grow."